CHICAGO – Nov. 8, 2018 – The Leapfrog Group, a national nonprofit aiming to improve health care quality for consumers, employers and purchasers, announced the fall 2018 Leapfrog Hospital Safety Grades. The independent grading system assigns A, B, C, D and F letter grades to general acute-care hospitals in the US based on their ability to protect patients from avoidable errors, injuries, accidents and infections. Illinois moved up in the national rankings to the 12th spot (up from 15th in spring 2018) and 39% of graded hospitals for Illinois received an A, while 27% earned B’s and C’s respectively. Five hospitals received scores of D and below: Holy Cross Hospital, Loretto Hospital, Mt. Sinai Hospital and South Shore Hospital in Chicago, and UnityPoint Health – Proctor in Peoria, IL. 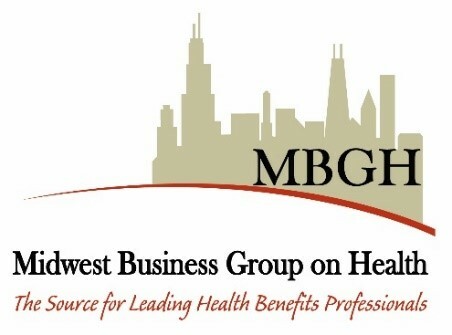 The Midwest Business Group on Health (MBGH), the Leapfrog Group’s Illinois Regional Leader, and a non-profit organization representing employer purchasers of health care, annually encourages Illinois hospitals to participate in Leapfrog’s online patient safety survey. In the wake of the high stakes midterm election, neither party can claim victory in addressing preventable errors and infection in hospitals. The fall 2018 Leapfrog Hospital Safety Grades show that 33 percent of hospitals in traditionally blue states and 32 percent of hospitals in traditionally red states earned A’s. As recently as September 2018, The Leapfrog Group testified at a hearing of the United States’ Senate Health, Education, Labor, and Pension (HELP) Committee, offering guidance for a bipartisan approach to improving transparency of patient safety data and making progress on safety. Developed under the guidance of a National Expert Panel, the Leapfrog Hospital Safety Grade uses 28 measures of publicly available hospital safety data to assign the grades to more than 2,600 US hospitals twice per year. The Hospital Safety Grade’s methodology is peer-reviewed and fully transparent, and the results are free to the public. Because publicly available data is limited for a variety of reasons, The Leapfrog Group is not able to calculate a safety grade for every hospital in Illinois or for critical access hospitals, long-term care and rehabilitation facilities, mental health facilities, federal hospitals (e.g., Veterans Affairs, Indian Health Services, etc.) or specialty hospitals, including surgical centers and cancer hospitals or free-standing pediatric hospitals. For more information about the Leapfrog Hospital Safety Grade, as well as individual grades and state rankings please visit www.hospitalsafetygrade.org and follow The Leapfrog Group on Facebook and Twitter.